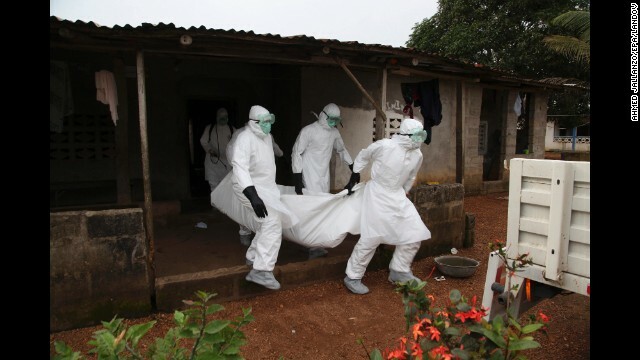 Global health experts Friday declared the Ebola epidemic ravaging West Africa an international health emergency that requires a coordinated global approach. Guinea, Liberia and Sierra Leone are battling the Ebola virus, which has killed 932 people in those countries. The epidemic has also spread to Nigeria. "The possible consequences of further international spread are particularly serious in view of the virulence of the virus, the intensive community and health facility transmission patterns, and the weak health systems in the currently affected and most at-risk countries," the World health Organization said Friday, after two days of emergency meetings. The United Nations health agency described it as the worst outbreak in the four-decade history of tracking the disease. "A coordinated international response is deemed essential to stop and reverse the international spread of Ebola," WHO said. "Perhaps one of the most important factors contributing to this is fear and misinformation," said Dr. Keiji Fukuda, the assistant director for health security. "This is critical to understand, because what it is doing is that it helps foster suspicion and anxiety in communities, and when that happens we see a situation where people are reluctant to go to health facilities or maybe reluctant to bring their family members there. And it underscores the importance of communities being aware and understanding but we also see that fear impacts other countries." A brain-eating amoeba that lurks in fresh water has prompted warnings from Kansas officials after it killed a 9-year-old girl. Hally Yust was an avid water skier and spent the past few weeks swimming in several bodies of fresh water. She died last week fromNaegleria fowleri, a brain-eating parasite that lives in warm, standing water. At Hally's funeral Monday, her family wore matching T-shirts with the logo of her water-skiing club, CNN affiliate WDAF said. Relatives honored the young athlete by announcing the Hally Yust Women's Basketball Scholarship at Kansas State University. "Our precious daughter, Hally, loved life and part of her great joy was spending time playing in the water," her family said in a statement. "Her life was taken by a rare amoeba organism that grows in many different fresh water settings. We want you to know this tragic event is very, very rare, and this is not something to become fearful about."